Black fungus (Mok Yee) also known as wood ear or cloud ear. This fungus has many health benefits, among other things, it is known to improve blood circulation, lower cholesterol level and is an anti-viral immunity booster. I found a few packets of dried black fungus bought by my mother in-law some time ago. We thought we should use it but did not have any ideas. So, I google searched and found this recipe. On its own, the fungus is rather bland but with the seasoning, it is transformed into an appetising salad with satisfying crunch when you bite into it. 1. Soaked the fungus for about 1 hour. I a small pot, boil the black fungus for 3 to 4 minutes. Remove fungus from pot and cut into strip or your desired size. 2. Mix all the seasoning ingredients in a small bowl. 3. 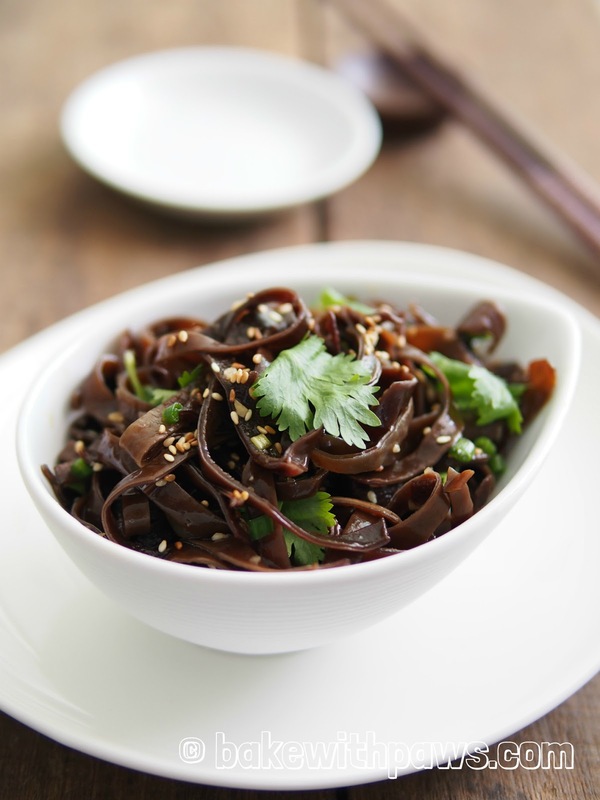 In a salad bowl, add the black fungus, garlic, spring onion and cilantro. 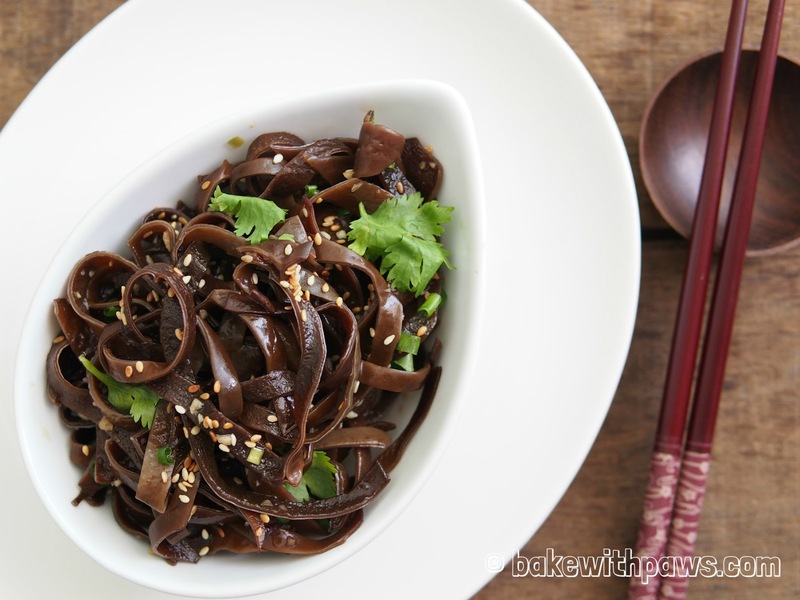 Then toss the black fungus mixture with seasoning sauce until well combined. 4. Sprinkle with sesame and serve.